The first “portrait” of this new 2015 edition of “Those of Tor” starts with a runner who will probably not take part in Tor..even if the waiting list is shortening: the 64 runners ahead of her last week are now 20 and, before it is summer time, as she says, “you never know”...In the meantime, Ita Marzotto, originally from Veneto but Tuscany adopted, keeps on training, big time and with big commitment. She is now packing for that Australian race called The Track Outback Race: 520 km in the dry heart of the huge Australian land. It is a very, very though race that has to be finished in 9 days and in self -sufficiency. Not bad for this business woman living in Lucignano ( Arezzo), mother of three grown-up kids, who started running at 48, making her first appearances in marathons ( Florence and New York, just for a start, and with brilliant placements) and then switching to long distance trail running. 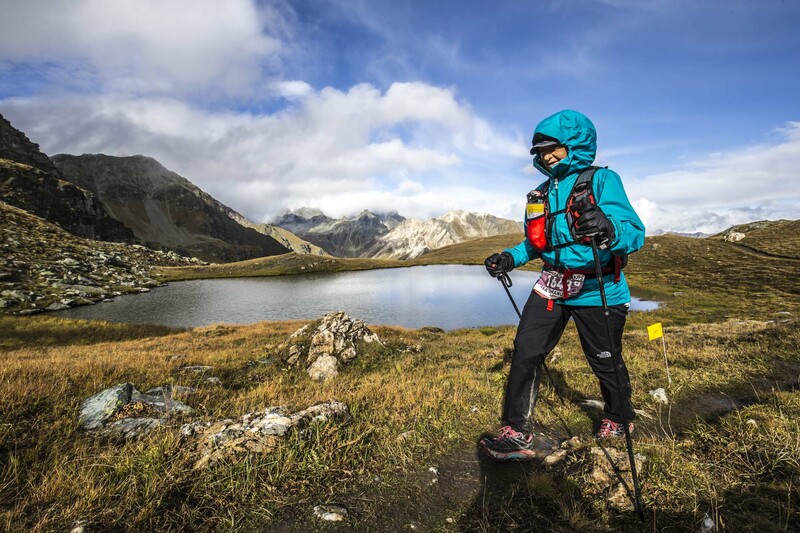 She raced in Dolomites, in middle Italian Appeninini, in the Rocky Mountains in Usa, in Iceland, in african desert. And she made podium on those races too. But then, there is Tor.. In the meantime you are running miles and miles, beside Australia. “Yes, I’m lucky enough to live in the countryside and to have my headquarters in Podistica il Campino in Castiglion Fiorentino, where I have expert friends, who are very good in keeping me motivated, and a young coach who just cares about substances: run, run and run. What’s more, I’m grouping with runners from Perugia with whom I do long, self - sufficient trail on Monti Sibillini or on Monti della Laga, which are great places to train in highness as lot of mountains are going over 2000 meters. Sport and adventure are kind of a family legacy. What do your three children say about this passion for trail which came out not in you “youngest age”?